The main approach will be to use the side of the fairway and let it bounce up to the green. The fairways on either side slope to let you bounce your ball around the bunker and up to the green. The spin is important and you should use one bar of right sidespin and 3-4 bars of backspin. If you get a left to right wind, use 1 bar of left sidespin instead. With tailwind, adjust with 4-5 bars of backspin. 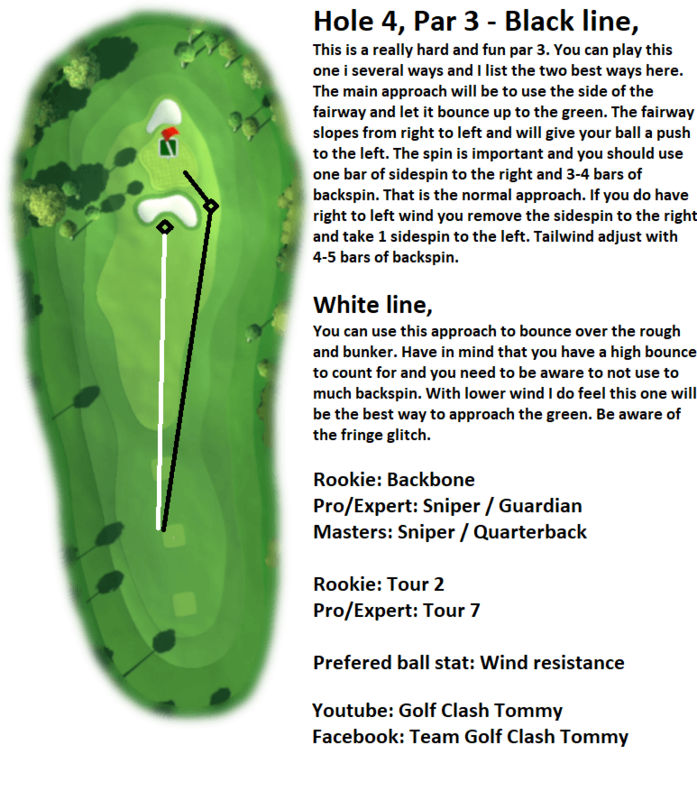 You can also use this approach to bounce over the rough and bunker. Keep in mind that the green is elevated and you need to avoid using too much backspin. With lower winds, this may be the best approach but watch out for the fringe glitch playing this way.